EMV is a chip-based technology considered as the new global standard for credit and debit card payments. Why is everyone talking about EMV technology? What is it anyway? How does it affect business owners? Is it a requirement? How do I get it? Let’s start from the beginning. EMV is a chip-based technology considered as the new global standard for credit and debit card payments. It’s not exactly new for Europe but it is new for the United States. Microprocessor chips are embedded into the cards to store and protect the privacy of cardholder data. The data on the chip is more secure than on the traditional magnetic stripe. The data on the magnetic stripe is easily copied by criminals who use skimming devices to create counterfeit cards. Due to the additional layer of authentication protection, fraud and chargebacks have been greatly reduced with this technology. After facing a major data breach, Target pushed to get EMV upgrades completed late last year and has spent in the upwards of $100 million. Why is everyone talking about EMV Technology? There has been a lot of buzz over the past few years regarding EMV technology. The main reason is due to the new liability shift with a deadline of October 1, 2015. The major players- Visa, MasterCard, Amex, and Discover have decided to shift fraud liability over to the merchants. In the past, the banks normally covered counterfeit fraud for credit and debit card transactions but that is no longer the case in some instances. 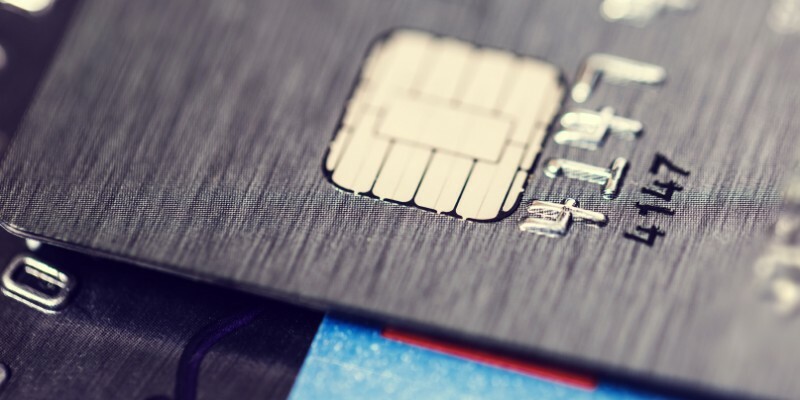 Learn more about the specifics of the EMV migration here. How does it affect business owners-small, medium, and large? Instead of fraudulent chargebacks being covered by the card issuer such as Visa or MasterCard, they will be the responsibility of the merchant, in the case that the merchant is not EMV compliant. As a business, would you want to be responsible for all counterfeit fraud chargebacks from your customers just for not having the most up-to-date technology? Probably not. Currently in the U.S., it is not. However, it does not change the liability of the merchant. If the merchant is willing to take the risk regarding liability, it is that merchant’s decision. However, it is quite a steep risk to take on alone. How do you become EMV compliant? What if you didn’t meet the deadline? You have the option to reach out to a payment processor that has EMV capable equipment or software. Contact us at Envoy Business Systems so we can determine whether you are EMV compliant or not, and how we can get you there. If you did not meet the deadline, it is okay. We can advise you on what your next steps should be. Not at all. EMV compliant software and equipment pricing is very comparable to the software and equipment your business is using right now. Do consumers know about EMV technology? Yes, a lot of them do. They are noticing the little chips on their cards that they are receiving from their banking institutions, and they are asking questions. The banks educate them on reinforced layers of protection within the cards and how their personal data is more secure. Consumers love that. It makes them feel more protected when their merchant of choice takes the extra step in securing their data. For more information on how your business can become EMV compliant, contact us or feel free to send us a tweet.